Because we are growing as a school we are planning to reconfigure spaces in order to better meet the needs of students, faculty and staff. 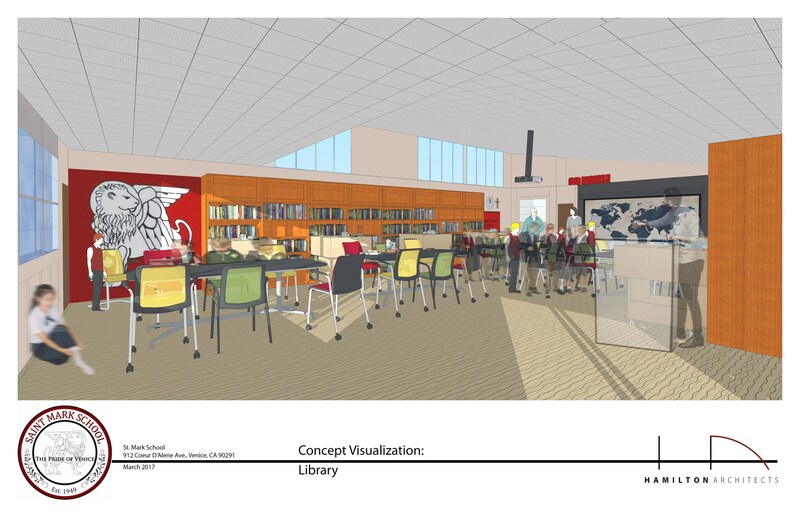 We are confident that by making these changes we will better utilize current spaces and we will create refreshed and reconfigured spaces to enhance student learning. 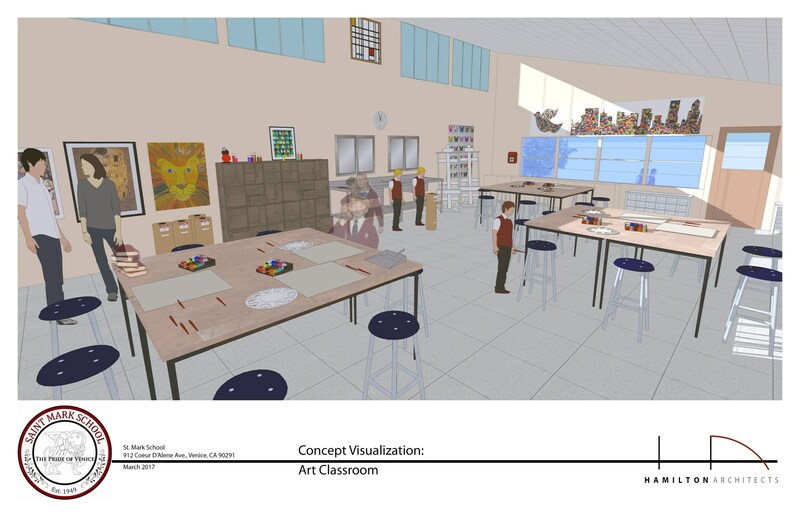 The newly located art room will have an enlarged space for the students to engage in their art projects. 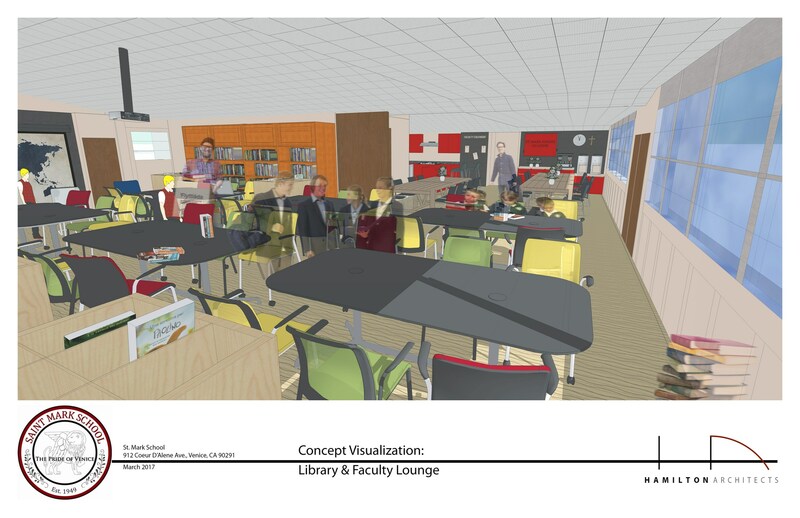 Students will have access to multiple classroom centers for individual and group projects. The art room will open up to the outside garden and yard. Guiding students in their use of the outdoors as inspiration for artistic expression will maximize their art experience in and beyond the classroom as well as provide rich opportunities to employ all of their senses in the making of art. And, as students are completing digital photo projects often times using live subjects from outside, this access will enhance the program and the experience of students significantly. New adult restrooms and enhancements to student restrooms will further be a benefit to all adults and students of St. Mark. Student restrooms will be reconfigured to provide for dressing stalls that insure greater privacy. This will benefit the students who are participating in the diverse after school activities at St. Mark. New adult restrooms will provide for easier access. This will help the school to be in compliance with the Americans with Disabilities Act and this will model the school’s desire to fulfill the inclusivity of our common principles of faith. These plans also include space for two offices – one for the Director of Ed. Tech and one for the school psychologist, neither of whom have a fully designated office at this time. In addition, these plans allow for multiple people to use other offices which builds in needed efficiencies give the growing student body. Finally, the principal’s office will be relocated to a more central location and the current principal’s office will become part of a full size classroom to better meet the needs of a growing student body. 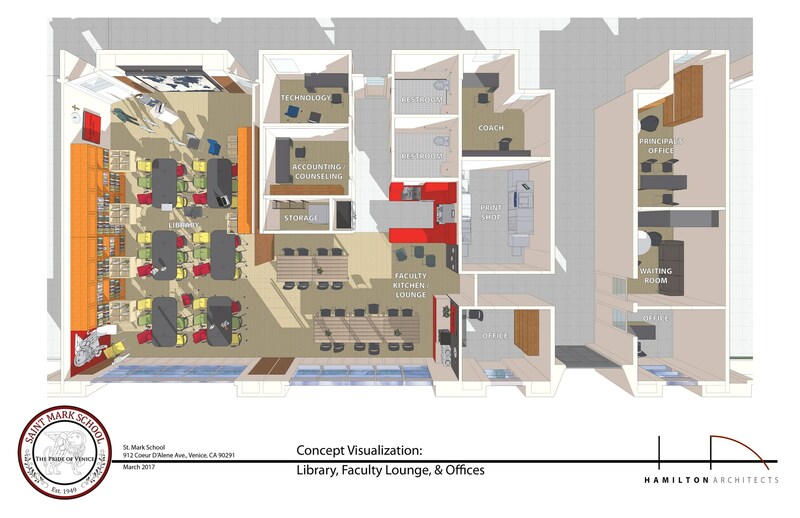 The library will be moved to a new location adjacent to the faculty room. This opens up an innovative new space for students, faculty, and parents for presentations, meetings, and collaboration. This will enhance the ability of students to connect presentations and projects based upon inquiry and research. The Faculty and Library rooms will be connected by a folding door, which will allow for an enlarged space for gatherings and meetings. 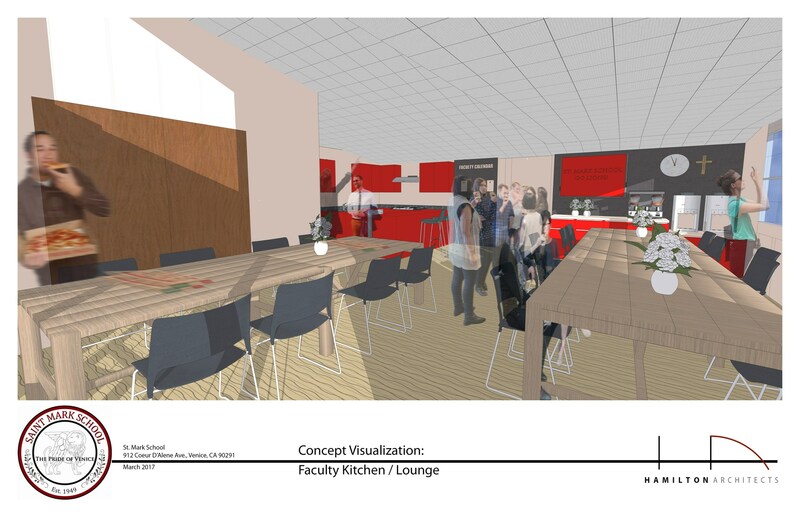 This will create an inviting space inside the school for the sharing of new ideas between faculty and parent leaders. The relative location of the adult restrooms to these spaces will be an enhancement as well.